Miami United FC started their 3rd US Open Cup stint hosting a local team full of talented players, FC Kendall. As Miami expected a good streak, they were stunned by Kendall‘s early lead. A reaction was needed. Since the moment Miami scored the tying goal, Reinoso‘s boys have not lifted the foot from the pedal as they have had the team‘s most successful run yet in the US Open Cup. After big wins against FC Kendall, Miami FC (2) & Jacksonville Armada, destiny made sure the team would face a new rival with historic proportions. 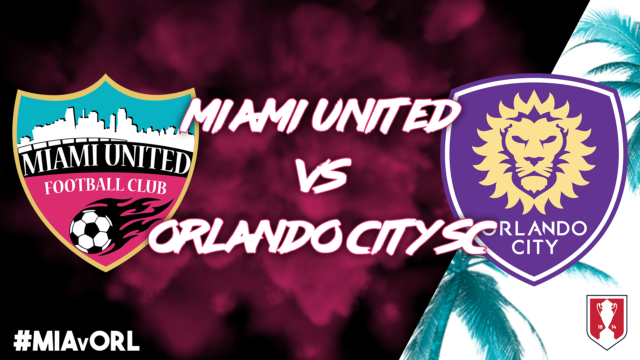 Being the first MLS team in Florida after the late Miami Fusion & Tampa Bay Mutiny, Orlando City SC will make its way south for the very first time to face a Miami based team as the visiting team. 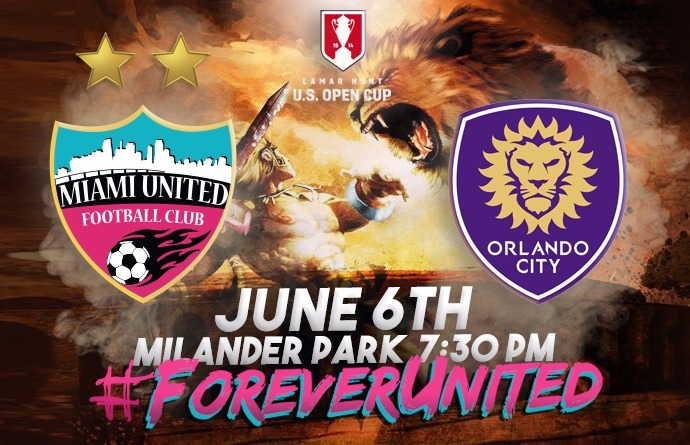 On June 6th, this historic match will kick-off at 7:30 PM ET at Ted Hendricks Stadium in Milander Park. Such as the rivalry against Miami FC, this will be the first time both teams face each other on a field but we know Miami fans have been waiting this for a long time. History has already been made by Miami United FC by qualifying to the US Open Cup‘s 4th Round for the very first time (only NPSL team to do it this season). The winner of this match will also make history either way. Orlando City has yet to beat a Florida team in the US Open Cup and Miami United has never qualified to the Cup‘s 5th Round.